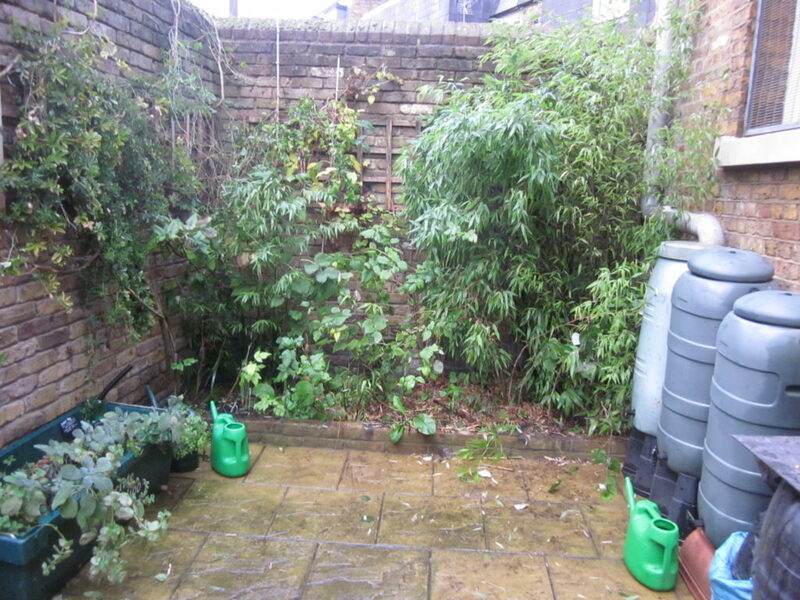 This is a very small garden behind the library that was established by the Friends of Tate South Lambeth Library. It is looked after by a group of gardeners and is open once a month (second Saturday of the month from 1.30) and for additional sessions from time to time. Of food plants, the garden grows mainly herbs, with others, such as tomatoes and beans in the summer. We mostly follow the interests of the people involved – for example, taking cuttings and making seed compost. The library is very near to Tradescant Road which was built on the location of the gardens of the John Tradescants’ house in Lambeth, this is why the Friends named it ‘Tradescant’s Retreat’. The two John Tradescant’s (father and son) were famous plant collectors who lived here around 350 years ago.